Yesterday was the first day of summer. Seems like we've been waiting quite some time for it to get here. I was looking through my AJVD dies and noticed Sam E. Snowman Shaker Die Set. I wasn't about to make a snowman card during the summer, but then I had an idea. Why not a sandman? Perfect summertime card! Kecia Waters on the blog today to share my Sandman Shaker card. 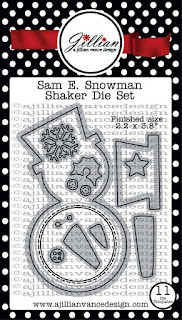 To make this card, I used the Sam E. Snowman Shaker Die Set to cut the sandman, hat, and carrot. I like to build my shakers from the base to the top, so that meant I cut the snowman body with Cryogen White Curious Metallic cardstock (it is a cardstock that shimmers). I colored the belly portion with Copic markers. I then cut two pieces of white foam sheet with the included circle die in the middle. 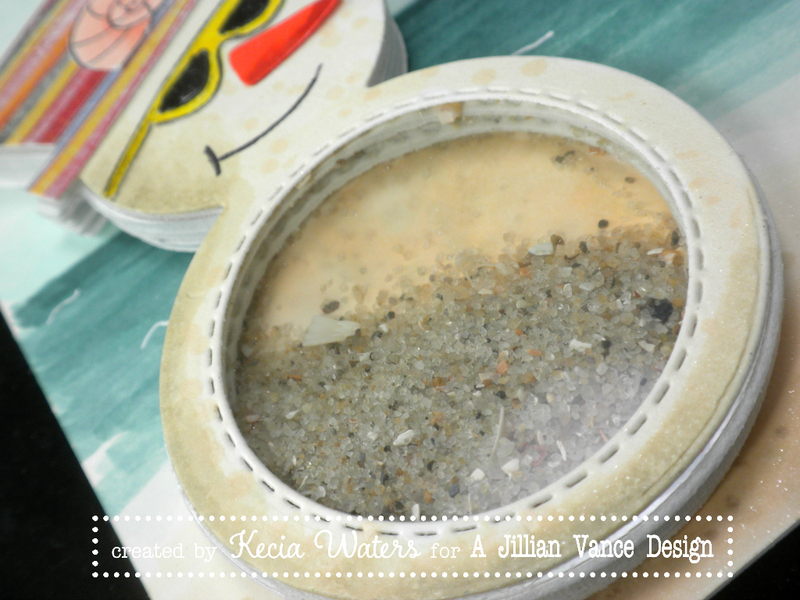 I adhered these three pieces together and then added a pinch of real sand from the North Carolina shores (one of my favorite places to be). I then used the sandman body to cut the acetate, and used the die with the included circle to cut the top layer of Cyrogen White Curious Metallic cardstock. I colored the sandman's body with Copic markers. These were then adhered together. I added the hat cut from a scrap piece of patterned paper and the carrot, cut from orange cardstock. I drew the sunglasses and his grin with a Memento Tuxedo Black marker. On a panel of Cyrogen White Curious Metallic cardstock, I drew the beach scene with Copic markers. I added some white highlights on the water with a white Gelly Roll pen. I sponged some SeaShells Conch Shell dye ink for the sun. 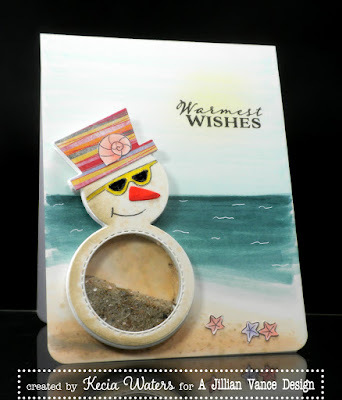 I stamped the sentiment from the "Frosty Stamp and Die Combo" with Versafine Onyx Black. I added a shell to give the hat some decoration, and three starfish to line the shore, all from the stamp set "Seas the Day" by designed by Whimsie Doodles. These were stamped with Memento Tuxedo Black ink onto white cardstock and colored with Copic markers. "Frosty Stamp Set and Die Combo"
Here's wishing you a warm summer, filled with fun. 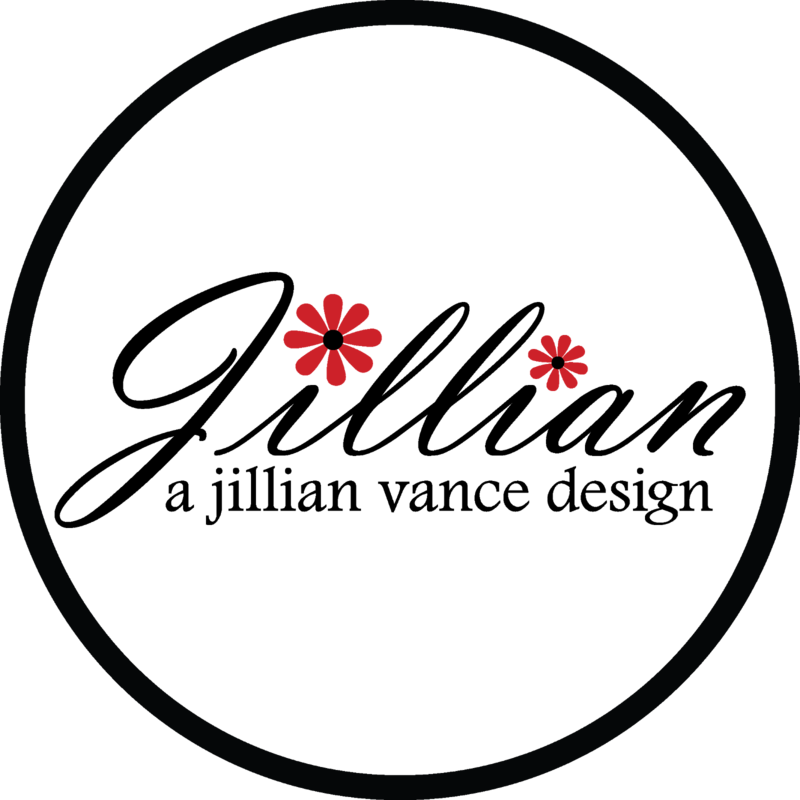 Stay tuned all this week to the blog for continued AJVD inspiration. Oh, what a fun card!!! OMG!!! 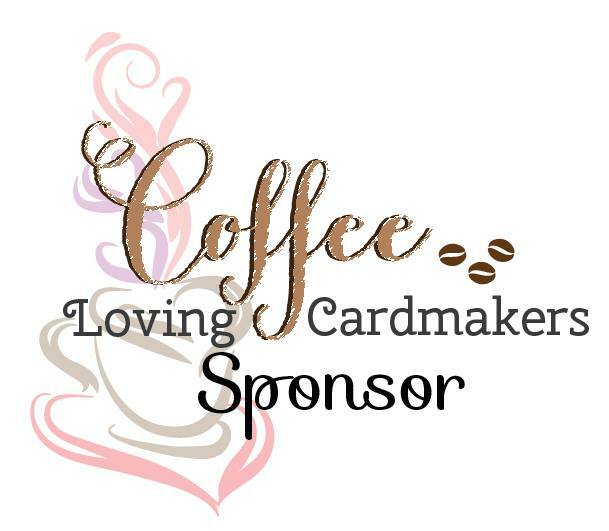 totally love your card... so stinkin' clever! !